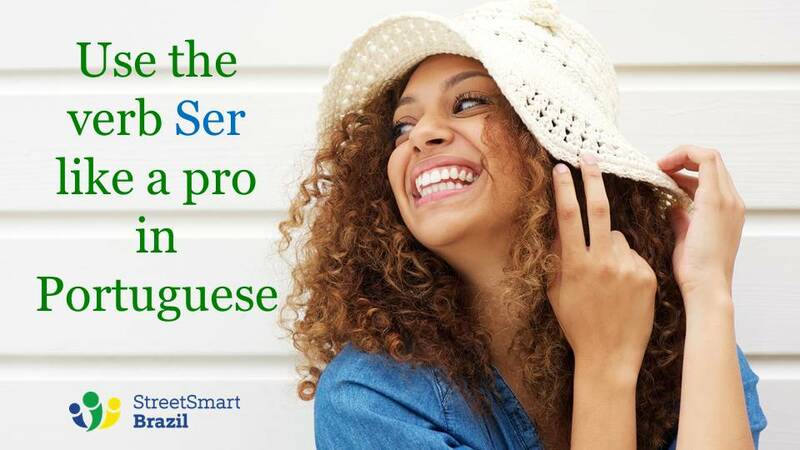 The correct use of verbs Ser and Estar is a topic that causes learners of Portuguese a lot of trouble. Both verbs mean the same thing in English: To be. Using these verbs is one of the first topics that you cover when you start learning Portuguese. It’s also a topic that will probably offer you some challenge throughout your Portuguese speaking journey, even when you are happily fluent in Portuguese. In this lesson I will cover the main uses of Ser. I talk about Estar here. At the end of this lesson I offer you practice exercises. You may memorize all the rules and still make mistakes. This is because when you are in the middle of a spontaneous conversation, your brain is working too fast to stop and go look for rules. Be patient with your brain. It’s an amazing machine. Even advanced speakers you will mix up the verbs now and then. There is nothing wrong with you or your ability to learn. It is what it is and that’s OK. When you are talking with Brazilians who don’t have experience teaching Portuguese – and may not have experience learning another language – they may try to correct you too much. Don’t sweat about it. 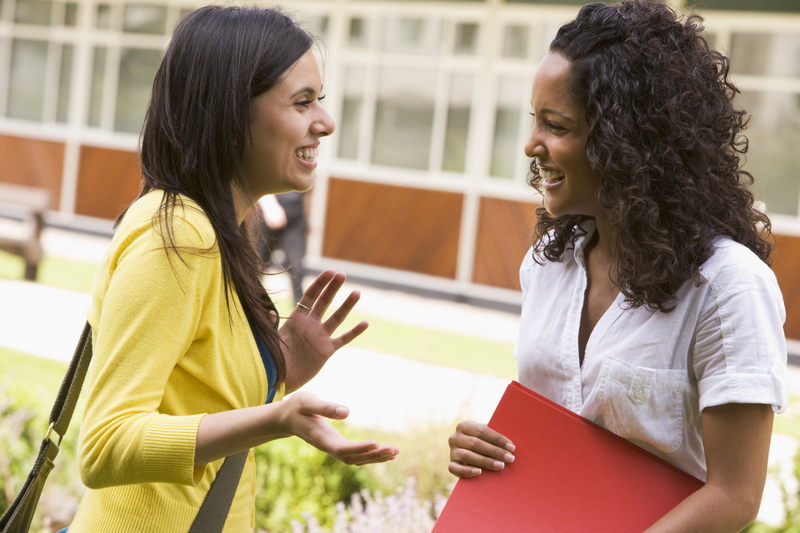 I suggest creating an agreement with your friend: You will welcome feedback, but sometimes it’s much better to let the conversation flow without correcting small things that don’t compromise the meaning of what you’re saying. I have a flashcard app for Android devices that will help you practice the present and past tenses of power verbs Ser, Estar, Ter, and Ir. You can get it here. I am working on a PDF, expanded version of the app. Stay tuned! Sign up to my newsletter to get the news as soon as the material is available. Allow me to oversimplify this for a moment and give you a rule of thumb: We usually use the verb Ser to describe characteristics that don’t change easily or often. Let’s see 8 common situations in which we use the verb Ser. Eu sou Luciana. = I am Luciana. Meu nome é Luciana. = My name is Luciana. Este é Marcos. = This is Marcos. Eu sou brasileira. = I am Brazilian. Dani é do Brasil. = Dani is from Brazil. Eles são americanos. = They are Americans. Eu sou professora. = I am a teacher. Márcio é médico. = Márcio is a physician. Did you notice that we don’t use an article in front of the profession? In the beginning of the lesson I said that we use the verb Ser to describe characteristics that don’t change easily. I can change my profession, right? But this is not something I change from one moment to the next or according to my mood. This is the spirit of the verb Ser. Joana é casada. = Joana is married. Nós somos solteiros. = We are single. Eles são divorciados. = They are divorced. Elas são irmãs. = They are sisters. Vanessa e eu somos amigas. = Vanessa and I are friends. João é meu chefe. = João is my boss. Este livro é meu. = This book is mine. Essa é a casa da Camila. = This is Camila’s house. Carol é muito engraçada. = Carol is very funny. Este livro é muito bom. = This book is very good. São Paulo é uma cidade fascinante. = São Paulo is a fascinating city. João é um cara alegre. = João is a joyful guy. Notice that these examples describe how people, places, and things are in general, not how they are just now or how they feel at the moment (that is the verb Estar’s job). Hoje é quarta-feira. = Today is Wednesday. Hoje é dia 9 de novembro. = Today is November’s 9th. São onze horas. = It’s 11 am. You may be thinking: “Wait! You just told me that I should use the verb Ser for permanent characteristics. It’s only 11 am for a minute.” I know, right? But we use the verb Ser for dates and the time. Rules can help us, but they won’t answer all our questions. The secret to speaking any language fluently and with ease is no secret at all: Get lots of practice. Below are practice exercises. The answers are at the end of the post. Oi, tudo bem? Eu __________ Liane. Eu __________ brasileira e __________ estudante. __________ solteira e tenho namorado. Meu namorado __________ José. Ele __________ mexicano e também _________ estudante. Nós _____________ estudantes de administração. José ________ uma pessoa muito alegre. Essas __________ Cristiana e Larissa. Elas __________ espanholas e _________ colegas de trabalho. Elas também __________ boas amigas e __________ muito ativas. As duas __________ solteiras. Este ___________ nosso restaurante favorito. O nome do restaurante ___________ Sabor Brasil. O atendimento ___________ excelente e a comida ___________ uma delícia. Eu e meu marido ___________ clientes fiéis do Sabor Brasil. Translate the lyrics and make flashcards with the words you want to memorize. If you have a Portuguese instructor, take this opportunity to talk about cultural aspects of the song. Pay close attention to Adriana’s pronunciation. Try to sing along to improve pronunciation and rhythm. Oi, tudo bem? Eu sou Liane. Eu sou brasileira e sou estudante. Sou solteira e tenho namorado. Meu namorado é José. Ele é mexicano e também é estudante. Nós dois somos estudantes de administração. José é uma pessoa muito alegre. Essas são Cristiana e Larissa. Elas são espanholas e são colegas de trabalho. Elas também são boas amigas e são muito ativas. As duas são solteiras. Este é nosso restaurante favorito. O nome do restaurante é Sabor Brasil. O atendimento é excelente e a comida é uma delícia. Eu e meu marido somos clientes fiéis do Sabor Brasil.